16 fin double heatsink. Black, anodized aluminum. Drilled for 4 (four) TO-3 heatsinks. 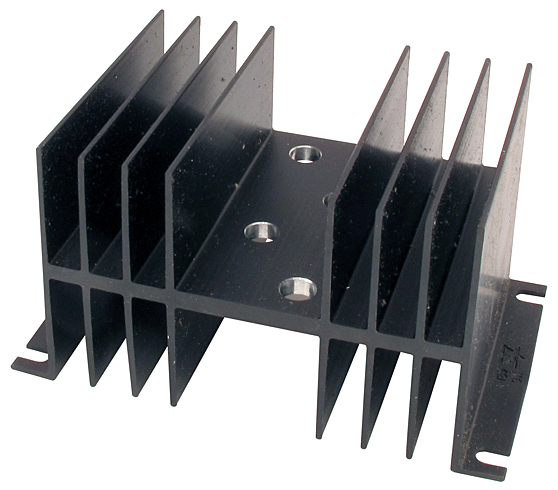 4-7/8" x 4-7/16" x 5-1/2"L.
Wakefield heatsink. Double surface. 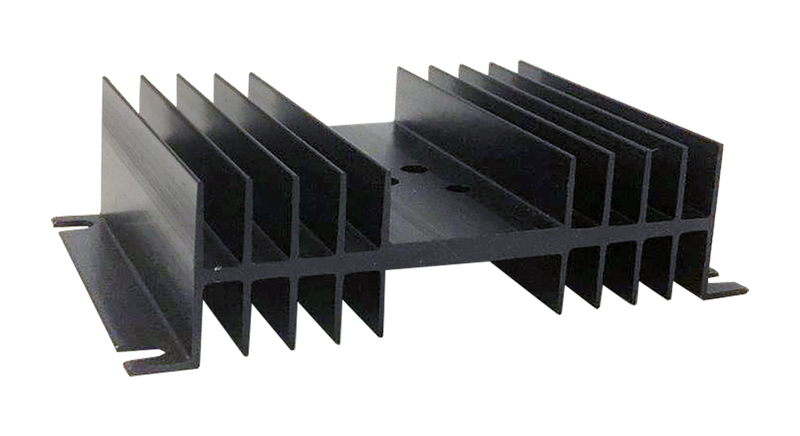 4.75"L x 3"W x 1-1/8"H.
Delta gigantic heatsink is NOT milled for TO-3. This would be about as close as you can come to total efficiency for heat dissipation. Anodized black. Aluminum. 6" x 6-3/8" x 5-3/4". 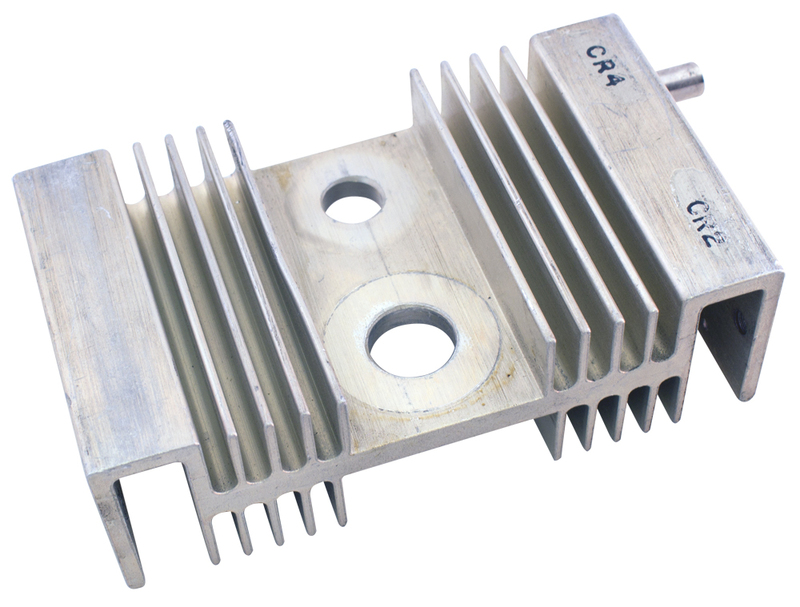 Delta aluminum heatsink. 4 pre-drilled holes. 3" x 4-7/8" x 2-5/8" high. 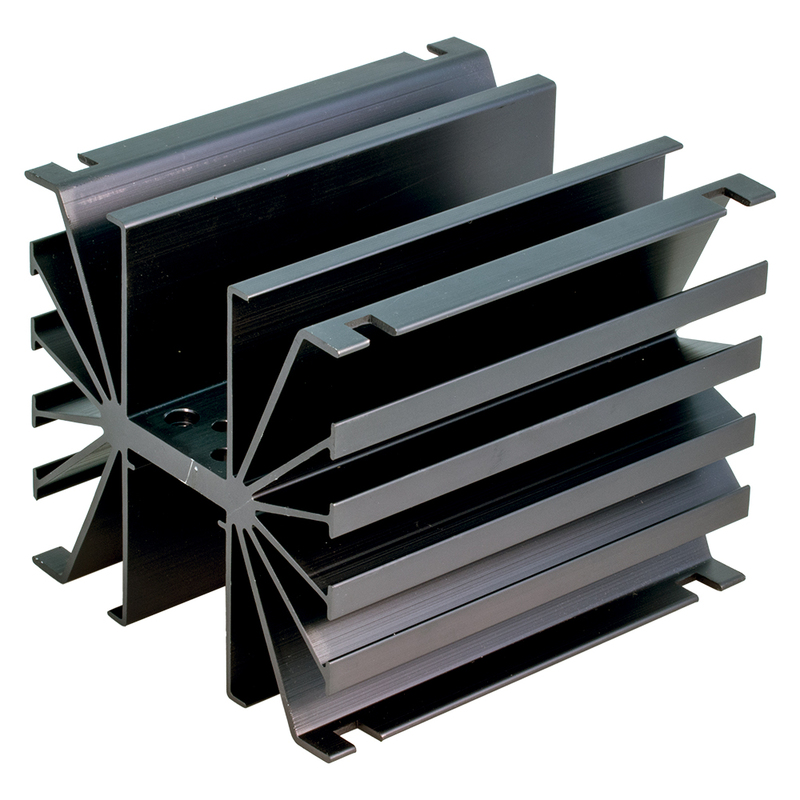 Aluminum heatsink. Mounts up to (6) TO-3 transistors. 3" x 4-3/4" x 7-1/2"L. Used. Heatsink. Medium, two surface. 3/8" & 1/2" holes. 1-1/4" x 2-3/16" x 4". Removed. NSN: 5999-01-380-3171. 50 watt (estimated) 1-5/8" x 4" x 2-5/8" high. Pre-drilled feet and single center hole. Unpainted aluminum. 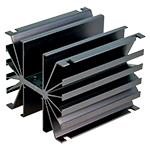 Delta / EG & G Wakefield Engineering aviation aluminum heatsink. Black finish. 1/2"D hole, unthreaded. 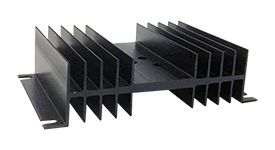 2-1/2" x 4-1/2" c-c mounting holes. Dimensions: 3" x 4-3/4" x 2-5/8" high. NSN: 5999-00-507-9878. Mfg. 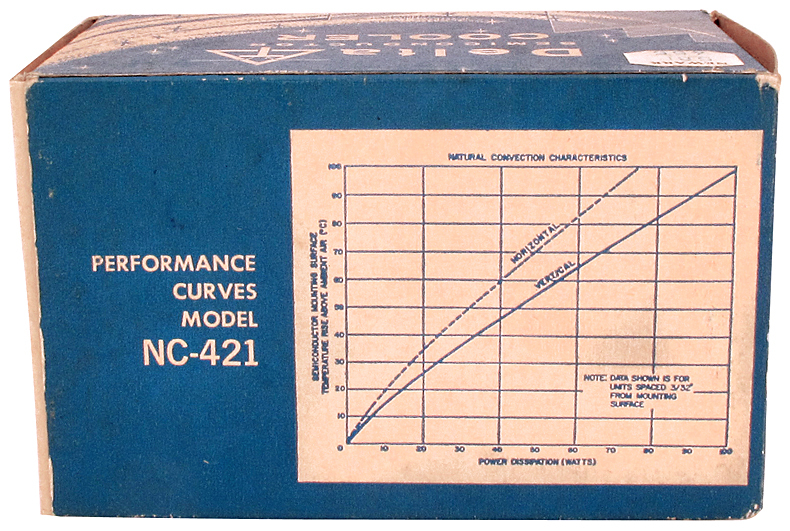 P/N: NC-421. 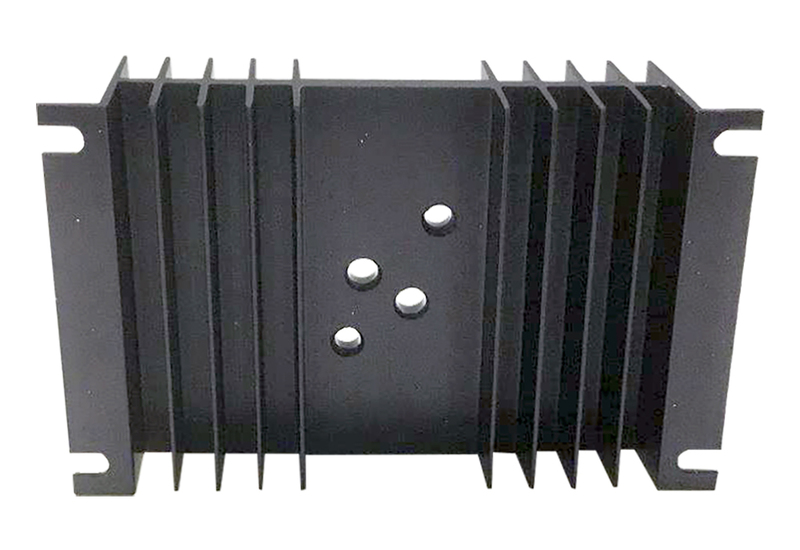 Aluminum heat sink mounting frame for 7 power tab devices. Common side fastens to chassis or larger sink with 4 screws. 3 point PCB fastening. 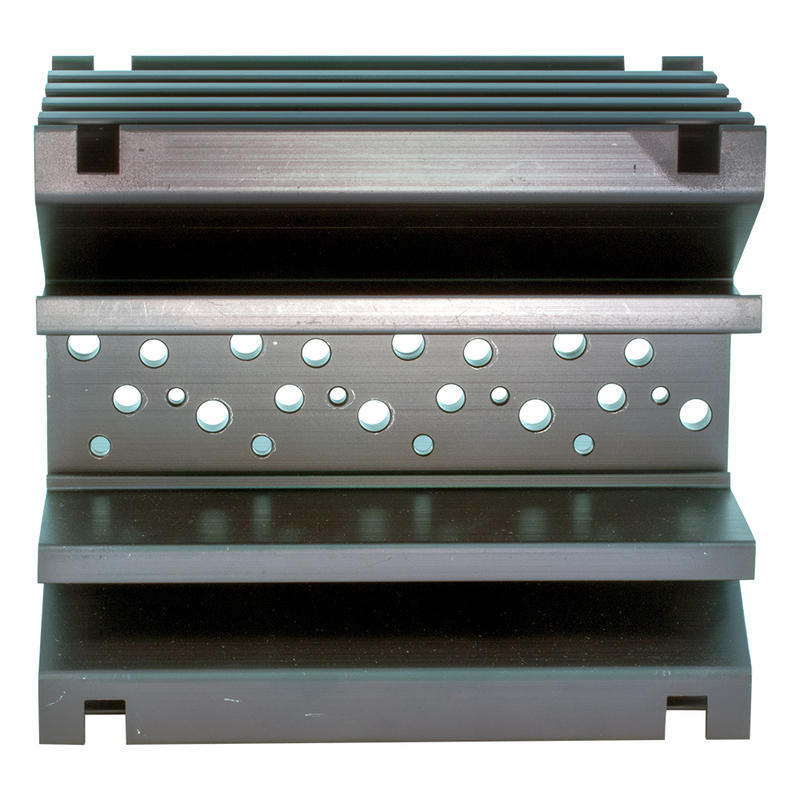 Dimensions: 2-5/8" x 3-3/8" x 1-3/4"H.
Anodized zinc chromate treatment with 3/8" and 3/4" predrilled semi conductor holes. 3/8" thick main plate. Mounting holes on edge. 3-1/2" x 5-1/2" x 6". Double sided heatsink. 1"H x 2-1/4" x 2-3/4". 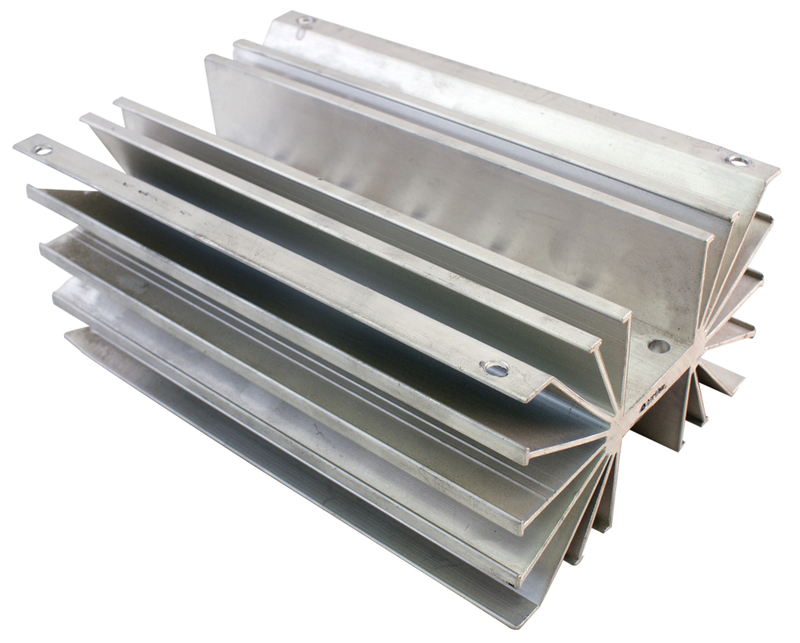 500 watt (estimated) 4-1/2" x 4-3/4" x 12-3/4". 3- 7/16" holes, 3- 5/8" holes, 3- 3/4" holes. Great for large stud diodes and SCR's.